How to Choose the Best Exhibition Stall Fabricators? Choosing the right fabricator for your exhibition stall can be a painstaking task. With too many service providers around, you need to approach the best exhibition stall fabrication company. The right design and look in these stalls ensure that your branding strategy is on the right track. The visual appeal of exhibition stalls, and the overall presentation of your business to the audience can strengthen your brand image. Therefore, when you design exhibition stalls, make sure to hire one of the leading designers. After all, you have been looking out for the interest of the visitors. A compelling look draws more audience to the stall. The expert exhibition stall designers are aware of the strategies that may click. Regardless of the nature of your business, they can make the stall stand apart. In case you are seeking a reputed exhibition stand design company, get across to the professionals with an established track record. This will ensure that your product or service will gain the necessary exposure to the crowd. Here are certain aspects you should check out when you hire an exhibition stall designer. Firstly, you would like to work with an exhibition stall designer in India with a proven history of their success. Therefore, make sure not to compromise with the quality of services. A good service provider may charge you a little higher, but you will enjoy the actual value of this investment. Check out the reputation of the company through the online reviews, blogs and discussion forums. You may also check out the testimonials on their websites. Have a look into the other projects they have handled in the past and hire experienced professionals. When you seek an expert for exhibition stall design in Mumbai, get across to the best service providers around. You can get a quote from each of them and reach out to one of these companies. It is important to make the visuals in your stall look compelling. Therefore, you need to get it customized according to the nature of your business. Get across to an exhibition stall fabrication company, who can get the stall tailored, with relevant details and elements. The reputed service providers have experienced designers, who provide all the necessary accessories. This enhances the branding efforts to a significant extent and draws new customers to your business. You would admit that a generic look for your stall will fail to yield the desired results amid steep competition. Evidently, your exhibition stalls will look the best when you hire seasoned experts. The best exhibition stall designers come with a comprehensive range of services. Most of these companies come with their inhouse teams for installing them. Besides, you can get the stall dismantled after the event is over. With all these facilities available, your task gets eased up to a great extent. It is recommended to get across to an exhibition stand design company, where the service providers offer all these services. It is a time-consuming affair to carry out all these tasks yourself. Therefore, check out the range of services the company is ready to offer before hiring them. When you look out for an exhibition stall designer in India, reach out to a company with a good clientele. After all, you would not like to mess up with the looks of your stall. Therefore, check out the portfolio of the company to get an idea of the quality of services they provide. Most of these service providers have their records on their websites and galleries. Besides, you may ask the company to provide you with the contacts of a few clients they have worked for before. You can personally check out the value of money you are likely to get when you hire their services. Several established companies offer exhibition stall design in Mumbai and you can collaborate with one of these service providers. Well, business firms and entrepreneurs would like to get all the accessories assembled at the right hour when they organize the event. Timely delivery is one of the first things you must consider. Most of the established exhibition stall fabrication companies come with their inhouse manufacturing facilities. These include fabrication, printing and so on. Therefore, they need not depend on any outsourcing agency for these accessories. You can eliminate the hassles and keep away last-minute stress when you collaborate with an accomplished stall designing company. When you get your exhibition stalls designed, you must be looking for cost-effective services. Budgetary constraints are common among companies, particularly for the ones that are new to the business. You would like to curtail costs and keep the expenses to the minimum. The reputed exhibition stall designers closely collaborate with their clients, ensuring that they can keep the expenses within the limit. When you reach out to one of these companies, they will provide you with a quote. Alternatively, you can convey your budget to the service provider. In this case, the exhibition stall designer in India will complete the designing process within the budget. Designing your exhibition stall is a tedious task. In most of the instances, people lack creativity. Hiring an exhibition stand design company can infuse the desired feel into it, creating the right ambience for the visitors. Besides, you need not spend your time in decorating, planning or constructing the stall. Simply convey your ideas to the designers and get the task done. Besides, you can get a professional edge in terms of presentation, display and managing the personnel. The established service providers work with a wide range of business firms. They know the flavour that can suit your business the best. Therefore, it is wise to collaborate with one of these companies. 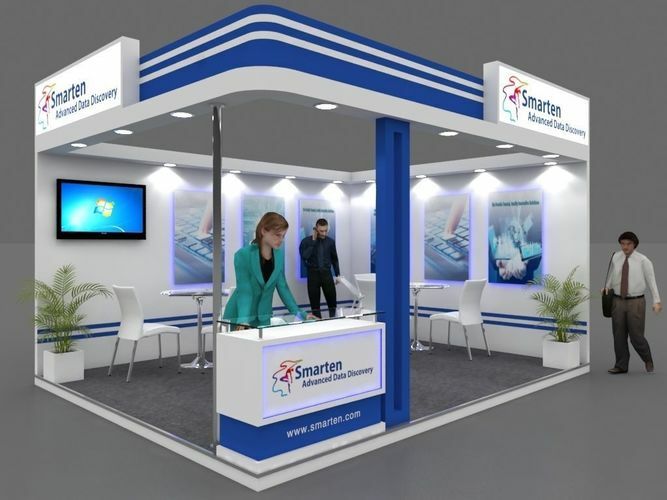 When you seek a professional assistance for exhibition stall design in Mumbai, reach out to a reputed service provider. Hiring a reputed designer comes with several monetary and non-monetary benefits. Have a consultation with the experienced designers for a more vibrant look in the stall.